An outbreak of the bird flu has been plaguing the UK since before Christmas last year. The pathogenic influenza, called H5N8, has been taking a toll on the nation in a very drastic way. An order was given on 6th December requiring all domestic birds to be kept indoors, establishing an avian flu prevention zone. At the outset, before the outbreak was seen in flocks across Wales and parts of England, the flu was considered a low-risk threat. 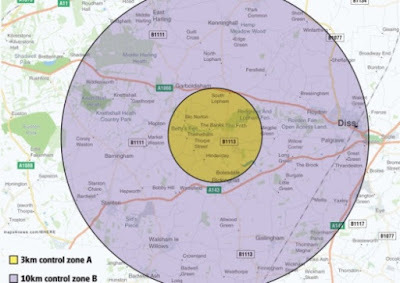 In response to the spread of H5N8, chief veterinary office for the Department for Environment, Food and Rural Affairs (Defra) extended the order to 28th February. For farms with laying hens, this posed some serious problems. A large majority of eggs in the UK come from free-range farms, making up 56% of egg sales. 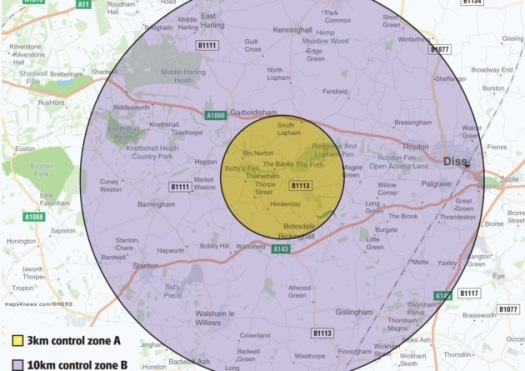 The order to extend the avian flu prevention zone means that free-range laying hens kept indoors would no longer be producing free-range eggs. Their confinement, while necessary to guard against bird flu, would force farmers to violate EU regulations for the classification of free-range eggs. This caused unrest amongst farmers and supporters. Happily, Defra announced that the housing order would be lifted in time to allow farmers to keep their free-range status. In Higher Risk Areas (HRA), the order will remain. There are a few provisions to that outlined in our article here. 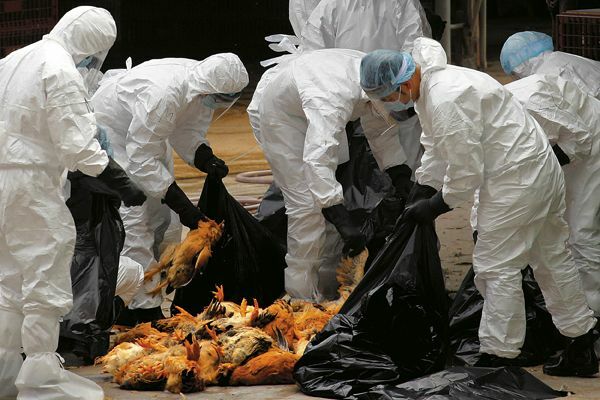 An outbreak of avian flu was seen just yesterday, 13 February, on a poultry premises in the region of Suffolk. An estimated 23,000 birds were infected with the virus. Many have already succumbed and perished. Defra had a hand in deciding the fate of the living remainder of the 23,000 birds, deciding that it was most humane to cull the infected. A Defra spokesman confirmed that a strain of H5N8 was “definitively identified,” but that the site is being handled as a suspected outbreak. Further inspection will root out the source and nature of the infection. 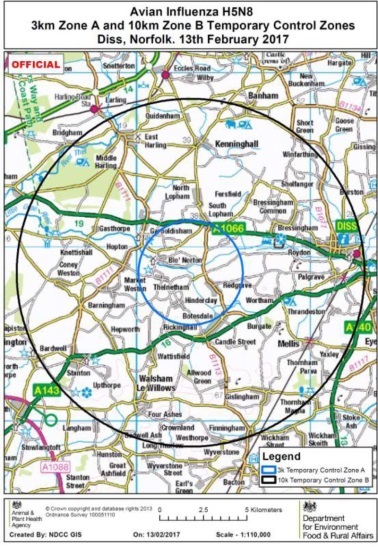 The Deputy Chief Veterinary Officer for the UK has announced a 10km Temporary Control Zone to be set up around the source in Redgrave. The perimeter is made up of two zones – inner 3km Zone A and outer 10km Zone B – and encompasses areas in Suffolk and neighbouring Norfolk.